Sunny weather. Vacation planning. Cookouts, swimming pools and fireworks. Are you excited for summer yet? It’s easy to check out during the summer months. That’s what happens when the kids are out of school, the pool is calling your name, and everyone is talking about vacations. Just don’t be so relaxed with your budget that your money starts melting like ice cream in the hot sun. When you’re in relax mode, it’s easy to spend a little extra here and there until, suddenly, you discover that little extra spending adds up to a lot and your money is gone. But there’s good news: If you give yourself a few extra minutes to plan your budget, you’ll be good to chill all summer long. Set your social calendar. Part of the fun of summer is visiting (or being visited by) out-of-town friends and family. Those occasions make us want to spend more on food and entertainment. But if you don’t plan for the get-together, it’s easy to bust the budget on local activities, entertainment or eating out. Set your social schedule early and give yourself time to save for visits. Plan for being spontaneous. Sounds weird right? But do you ever have the urge for a spontaneous summer night out with your family? Maybe you go see a movie and get ice cream or play a round of mini-golf. Make a line in your budget for spur-of-the-moment summer fun so that, if you decide to go out or need a rainy-day plan, your budget is ready for it. Choose a staycation. It’s a “getaway” that’s heavy on fun and light on spending. Stay home to do fun stuff like spend time with your family, go to a festival, or have a picnic in the park. As you plan your staycation, look for activities that are fun and fit within your staycation budget. 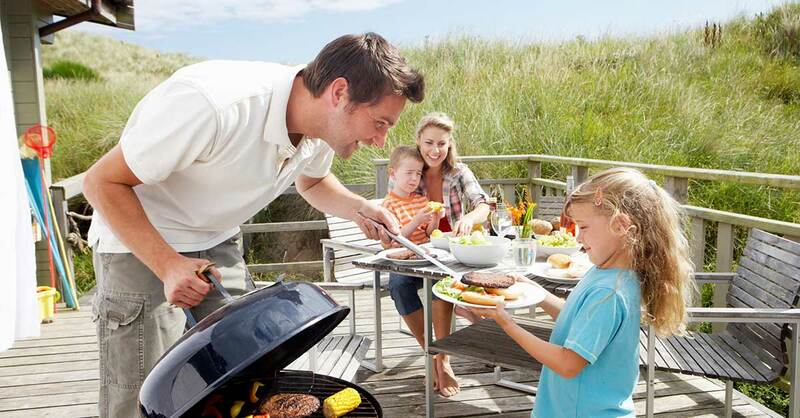 Some examples are grilling out, having water balloon fights, or going to a museum, zoo, or minor league baseball game. Pay cash. You spend less when you use cash because it hurts to hand over real money. Whether you’re stocking up on sunscreen or paying for a vacation, use cash to keep your spending in check. These ideas are all simple and just take a little planning. Once you’ve done them, you can have all the fun you want and let your budget do the work!